When will O2 truly help? Before I begin, I have to say something on behalf of all EMTs, who were referred to as "poor BLS buggers...who can't do much else...". 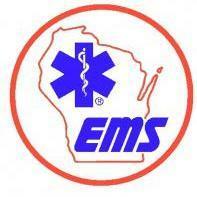 EMTs are the cornerstone of EMS, and having served as one myself for half of my 18 year career, am proud to have done so. I've learned more as an EMT than anyone would/could imagine. Being a good EMT has allowed me to become a good EMT-P. And as for "not being able to do much else", well, in my opinion, what else is there to do? EMTs can handle any trauma case presented them, can handle OB/GYN and field deliveries, can treat anaphylactic shock with SUB-Q epi and, yes, oxygen. SCA can be handled with good CPR, airway management/O2 therapy, and an AED. This being said, I think that EMTs can do quite abit. I'm sorry, but I get a bit touchy when I hear that EMTs "can't do much". As a matter of fact, I've read an incredible article written by a state EMS medical director about being "just an EMT", and I must say how impressed I was with his insight...and he's a physician. He went on to say in his article that, in an all "BLS" system, EMTs would be just fine, and I have to say that I agree. OK, now I'll get off my soap box... Oxygen has been proven to be beneficial in virtually all traumatic/medical matters, and its efficacy remains firm. My personal experience has revealed that the use of oxygen has been beneficial, and has resulted in an improved outcome for a wide variety of scenarios. I'm not going to cite specific instances; however, I will mention that the aforementioned results apply to everything from acute abdomen to orthopedic injury. We have to take into account basic physiology with regards to oxygen use and traumatic/medical maladies. During any insult to the body there is an invariable increase in oxygen usage. This in and of itself warrants the use of supplemental O2. In addition, there have been studies showing an overall decrease in pain and anxiety with O2 usage. This is, in part, due to the widely-known effects of oxygen, as well as the probable "psychological" effect that it has on many patients. In addition to this, it's a well-known fact that oxygen enhances vascular function, and improves overall blood flow. I've studied oxygenation, and its effect on the cardiopulmonary and vascular systems. The use of O2 on patients who may not be defined as "critical" is absolutely appropriate, and in many cases will be of great benefit. I hope that my input has helped shed some light on the subject. Ofcourse I've been called when not really needed. It's an inherent part of a multi-tiered EMS system. Having been an EMT for 9-10 years prior to advancing to EMT-P, I myself have called for a MED unit perhaps when I may not have needed one. So I've been on both sides of the coin. My feelings on this? So what? Better safe than sorry. If nothing else, it can be used as an educational experience between all of the involved rescuers.